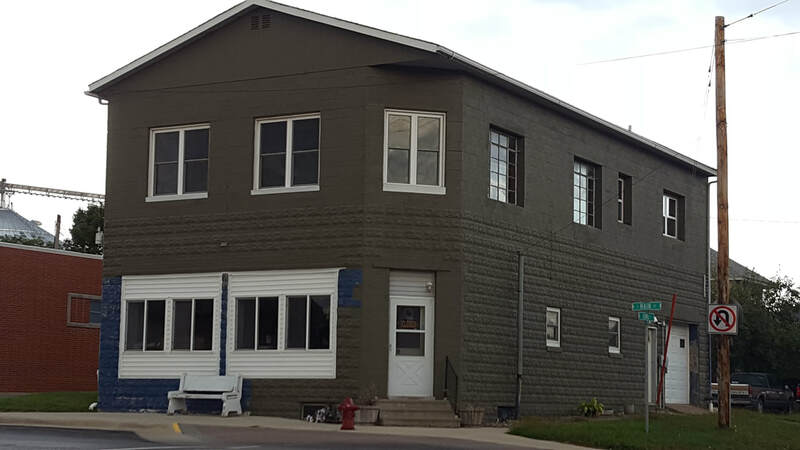 FOR RENT: 111 S. Main St. - Monona Chamber & Economic Development, Inc. Address: 111 S. Main St. Address: 101 E. Iowa St. Located at one of the best-traveled crossroads in town, built on 2 byways that directly connect Monona, IA with several other towns. Follow Main Street 8 blocks to the south where it connects with U.S. Hwy. 18/52 to link up with other towns, with over 4,000 vehicles traveling daily on Hwy. 18 at Monona's southern entrance, plus another 4,000 cars total traversing the other 4 entries into Monona. Per IDOT's 2013 traffic count map below, THOUSANDS OF VEHICLES TRAVERSE BY OUR FRONT DOOR ON A DAILY BASIS. Situated beside the post office & just a short walk to the bank, city hall, library, city parks, downtown restaurants / bars & shops, churches, day care, & other amenities, services, & activities. *** (Rented) Looking for tenant to lease spacious upper story 1,560+ s.f. 3-bedroom apartment for those who desire close proximity to their downtown store or office or near all of the unique amenities Monona has to offer. No smoking. No Pets. References & security deposit required. NOTE: Owner is willing to do build-to-suit renovations on the main floor commercial office suite, that'll be decided during tenant's lease negotiations.